Banking sector is one of the biggest sector that booming in India. Every year, thousands of vacancies are shot up for lakhs of unemployed students. And, the latest news is that around 80,000 PSU and SBI bank jobs are coming in next 2 years. So, many aspirants have a great opportunity to secure a post in these PSU banks. Salary and other allowances are also very good in these and now, 2nd and 4th Saturday in a month have been declared official bank holiday. 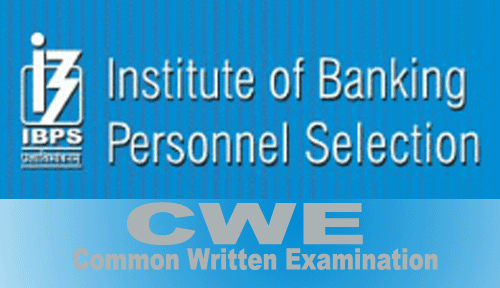 Also Read: Syllabus and pattern of Banking PO/Clerk exam. If you have read and know the exam pattern of banking exam whether SBI, RBI or IBPS, you know they required sectional cutoff to clear the exams. And if you had a chance to consult with the experience aspirants, you will find the GA sectional based on Current Affairs is the most difficult one to score and clear. This section only can fail you in this exam. Hence, i decided to share my experience and views regarding the General Awareness section questions asked in the various banking exams. Also Read: Syllabus and marking scheme of GA topics in Banking exams. 2. Current news from Banking sector and RBI: This topic is also important. License issued by RBI or latest rates increased or decreased etc can be asked. 3. Banking terms and economics: Banking terms like CRR, repo rates, reverse repo, SLR, RD account, on which basis interest is calculated in banks, short-term market and long-term market, etc can be asked. Whereas from Economics, GDP, GNP, NITI ayog, government schemes, policies, Budget, Economic Survey etc. 4. World capital and currency: In every bank exam, you will find 2-3 questions on capital and currency of any country in the world. But, generally asked of those names you must have heard. So, download the PDF and read it just 15 days from the examination daily 1 hour. 5. Organizations headquarters or full forms: There are various organization in the world as well as in the country. And, it really difficult to remember. So, i advise you to read about International Organization (only full forms and their headquarters and Heads/Director). 6. Deaths, Awards, Sports, Books and its Authors: From these topics, you will questions. 2-3 questions from Awards and Sports; 1-2 questions on Book names and its Author. I advise just read the famous book names and its author, but Awards (National and International) and Sports events data should be collected of last 6-8 months. 1. The Hindu newspaper: You will see that everyone is recommending The Hindu Newspaper to improve current affairs and events and also improve one's English language skills.But, no one tells- Padhe Kaise? You should also know how to make notes from the newspaper. - I suggest buy a dairy and start writing important points on sports, awards, policies schemes on daily basis. Start it before 6-8 months of your exam, if you are keen to crack it with high score. 2. Current affair magazines: There are various magazines available in the market which updates you every month with country as well as world's current happenings. One of the most popular is Pratiyogita Darpan available both in English and Hindi language. This comes on monthly basis and covers almost every aspects of current affair required to crack banking or other exams. If you find difficult in making notes from newspaper, you can follow this magazines. It also publishes yearly magazines with all important current affairs. Success Mirror is another magazines and briefly publish the current affair of every month. 3. Career Power GK capsule: Bankersadda.com publish compiled and briefed before every bank exam. It is from Career power coaching and really helps a lot, if want to cover every aspects of current before exam in 15-20 days. There are many sites provides monthly current affairs and you can download in PDF format too. You can follow our blog, and i will try to update you with GK capsule of Career power whenever it gets published. 4. Banking terms and economics: Banking and Economic terms are also important to crack these exams. It also helps you in SSC and other government exams. You can buy different banking books and every book covers this topic because of its importance. But, i also will try to upload the Banking and Economics terms to help you out in the exams. Score in IBPS PO/Clerk exams. How to prepare for English Language test for Banking exams. Study Material of Economics section of General Studies. Comments "Strategy to tackle GA section of Banking exams"